Arcade wall sticker. Decorate your home, office or business with this cool wall sticker. The design consists of an old school arcade machine found in the 80s. 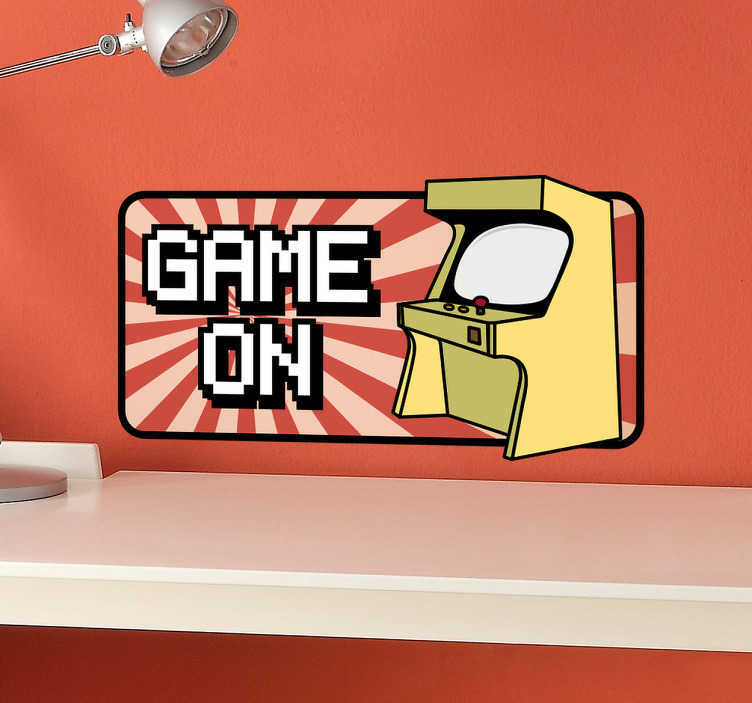 The sticker consists of the text "game on" motivating players to do their best. We use an adhesive film which is easy to apply to any flat surface and makes no mess. All our stickers are removable, however once removed they cannot be reapplied.